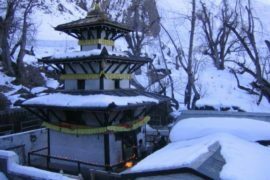 Term and Condition with Muktinath Temple Tour. After you take the services from the Muktinath Temple Tour, we promise you to the full fill the promises that we made with you. But you guys also must be co-ordinate with us to make your trip memorable so you guys all need to follow the certain terms and condition of Well Nepal Travel. so that it will be easy to verify you when the certain things came up like police enquiry, that you have lost somewhere etc. When you are travelling with Well Nepal Travel there are no restriction for the tourists who are above then 18 & the les than 18 tourists needs guardian or a letter of consent sign by their family member. So that it will be easy to deal with you. While you give us a call or an email for enquiry you need to provide a correct data and the things that we need in the content. And we will reply you an email or a call to make the reservation according to your needs and demand. Then after you need to leaves an advance for the reservation so that we can be able to send u a confirmation email or an invoice. After then if u cancel the reservation then you will be penalty some amount. If any things need to be changes or to rectify in the reservation then u can knock our door before we have a plenty of time .later it will be a problem to make changes n rectify in the reservation. The guest must have their strong documents so that it will not be arises the problems later on. They may have their passport & the related documents with them. If the necessary documents are not with them then the guests have to compensate themselves. After the agreement of the tariff that we provided in your demand for the booking . The modes of payment can be made by any mode of payment, but in the case of credit card payment modes are surcharged. The guest must pay the full payment after the due date is over. If the full payment is not done before the due date & cross the due date then the guest reservation may be cancelled, guest also need to compensate the company and the advance payment will not be retained. The cancellation charges will be applied if the guest canceled their reservation or the services provided to them. The cancellation charges may be different according to its nature. Most of the travel company provides the insurance to the guest through all the time they travel so they need to be clearly mentioned in the information of booking condition. While we make an insurance of guest then they need to provide us the correct information so that they can easily claim their insurance. The guest must have their valid passport & visa although the places that they travel. so always carry your passport & necessary documents with you. If you feel any uncomfortable in our services then please feel free to drop your feedback to us. So that we can resolve it. We will always be humbly looking for you ahead.